It does make me think though, what if. I know it’s not the most practical idea in the world, but I think about Shazam on my iPhone and how it can listen to a song and identify it. 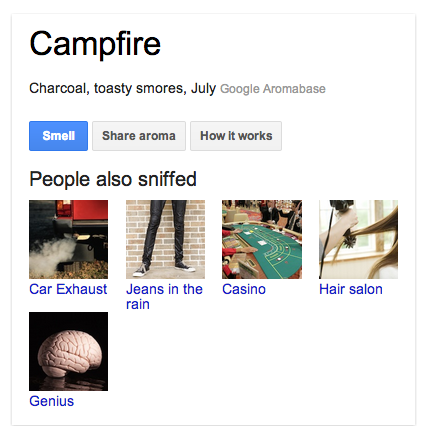 Is it really a far fetched idea that one day your phone could detect smells? I know you’ll probably never be able to get your phone to make smells, but maybe you could detect them no differently to sounds.